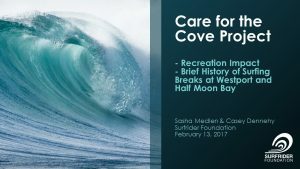 Our “Care for the Cove” campaign started as a result of decreasing wave quality in Half Moon Bay in Westport, WA. 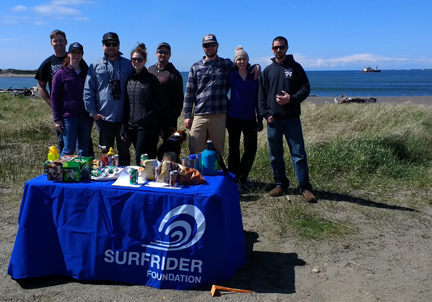 After much research, the Capitol Chapter in Olympia decided to launch an outreach program to educate our members and the public about the issues surrounding what was historically one of the best surf breaks in Washington State. As part of our outreach efforts, we made three presentations to Washington Surfrider Chapters and one presentation to Westport’s City Council. We invite you to view this presentation by clicking HERE or clicking on the first slide to the right. 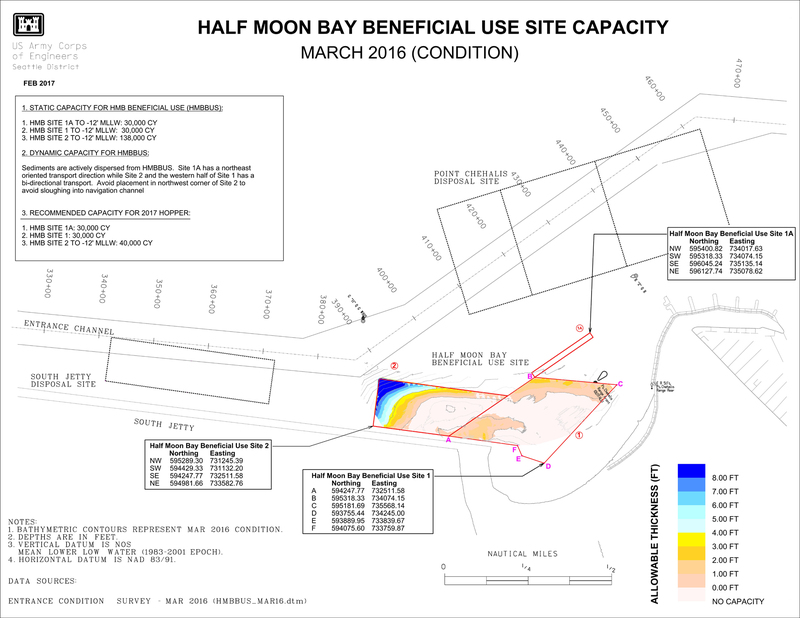 Met with USACE to urge them to dump sand in the Cove in accordance with a 1998 Surfrider legal agreement – the following is a map of allowable capacity for sand. According to talks with USACE, they planned to dump in blue areas in 2017.